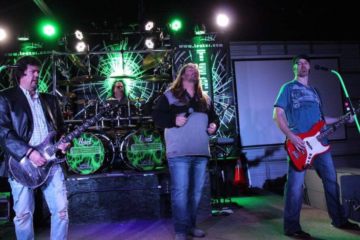 Texarkana Harley Davidson 2019 Big Easter Egg Hunt, Saturday, April 20, 12-4 pm. Bring the kids, grandkids, neighbors’ kids—grab a basket and join the hunt! Learn more. 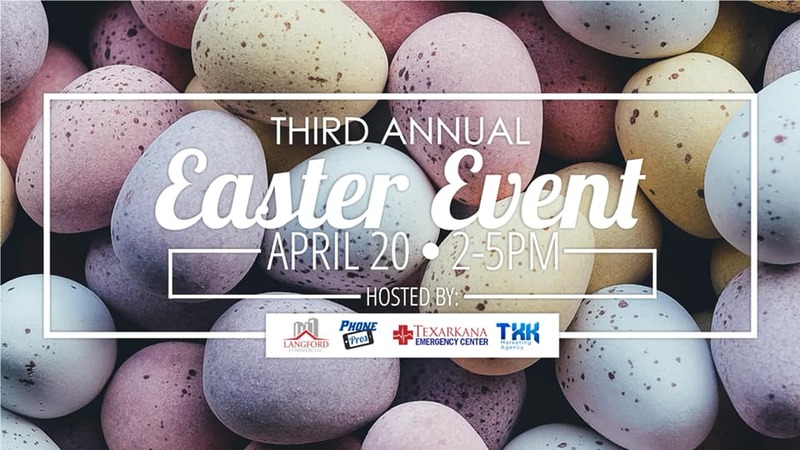 Texarkana Community Easter Egg Hunt [Rescheduled], Saturday, April 20, 9 a.m. Five churches have joined forced to host the 3rd Annual Community Easter Egg Hunt! Spring Lake Park. Games, prizes, snow cones, face painting, inflatables, and the biggest egg hunt in Texarkana with 40,000 eggs! Learn more. 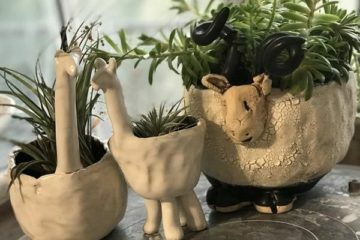 3rd Annual Community Easter Event at Phone Pros [Rescheduled], Saturday, April 20, 2-5 p.m. Free family photos, 10+ vendors, and activities for kids. Learn more. Children’s Easter Egg Dyeing Party, Sunday, April 21, 4-6 p.m. Primal Flow Studios. Learn more. Plus, check the local church calendars! 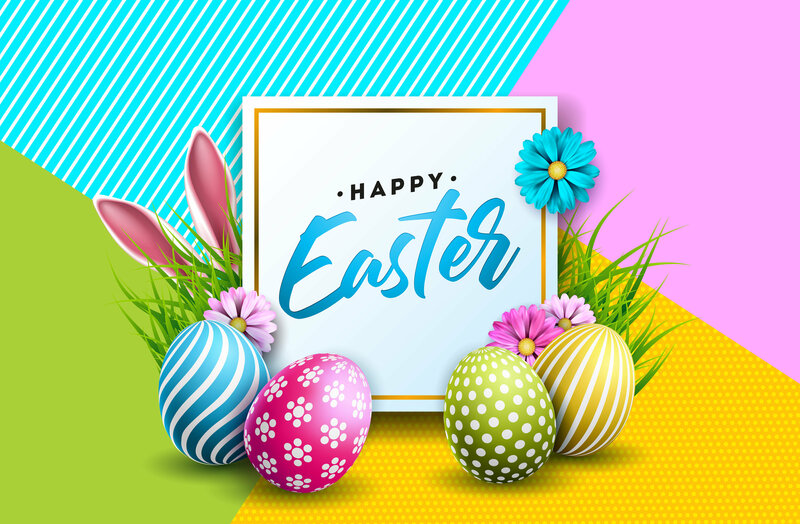 Texarkana 2019 Special Needs Easter Party/Egg Hunt, Monday, April 15, 5-8 p.m. FREE to all special needs individuals of all ages. Refreshments, Easter Baskets filled with treats, Easter egg hunt and DJ playing oldies and favorites. 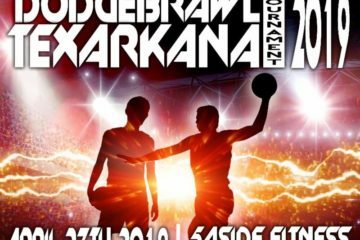 Texarkana Moose Lodge 2282 903-793-7103. Texarkana Young Lawyers Association Easter Eggstravaganzal Thursday, April 18, 5-7:30 PM. On the West side of the Miller County Courthouse, for families of Texarkana lawyers, judges, and support staff. Refreshments, egg hunt and a visit from the Easter Bunny! 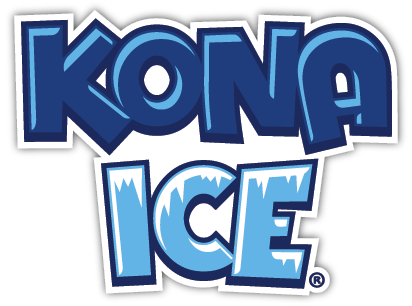 Kona Ice will serve free Konas from 4:00 to 6:00 p.m. on April 15, 2019 (Tax Day) in front of the Arkansas Municipal Auditorium. Purpose: to make Tax Day a brighter day! Come enjoy “Chill Out Day!” No taxation without relaxation! Learn more. 1:30-4:30 p.m. each day. Let the fun and learning continue for your kids while they are on spring break! Needs-based scholarships are available thanks to generous local donors. Learn more. Texarkana Country Club. 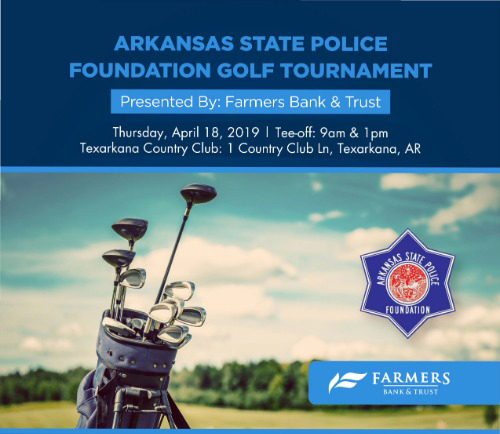 Join Farmers Bank & Trust at the first annual Arkansas State Police Foundation Golf Tournament, with proceeds benefiting the Arkansas State Police Foundation. Four-person scramble teams and sponsorships at Candace.Rankin@MyFarmers.Bank. Learn more. 11 a.m.-1:30 p.m., First United Methodist Church Arkansas. For $10.00 you will receive a bowl of taco soup, garlic bread, salad, tea and a dessert. All monies derived from this event go to send impoverished children to The Salvation Army Summer Camp. Learn more. 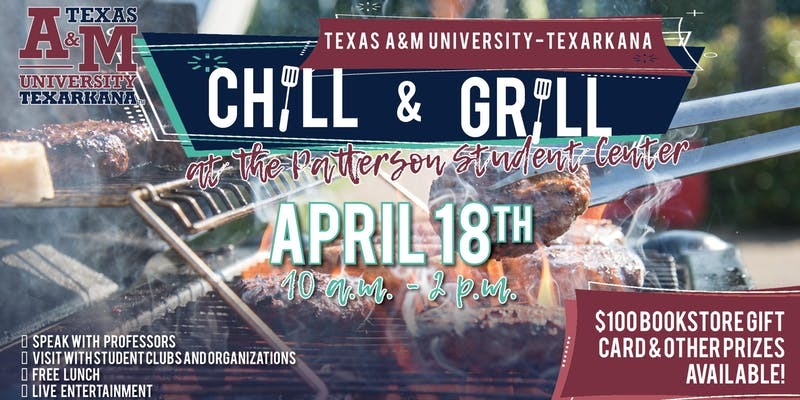 10 a.m.-2 p.m., Patterson Center. A FUN FUN FUN! and educational day for high school juniors and seniors There will be food, entertainment, chance to meet students and professors and informative discussions. 903.334.3172 or aroach@tamut.edu for more information. Sign up for free. 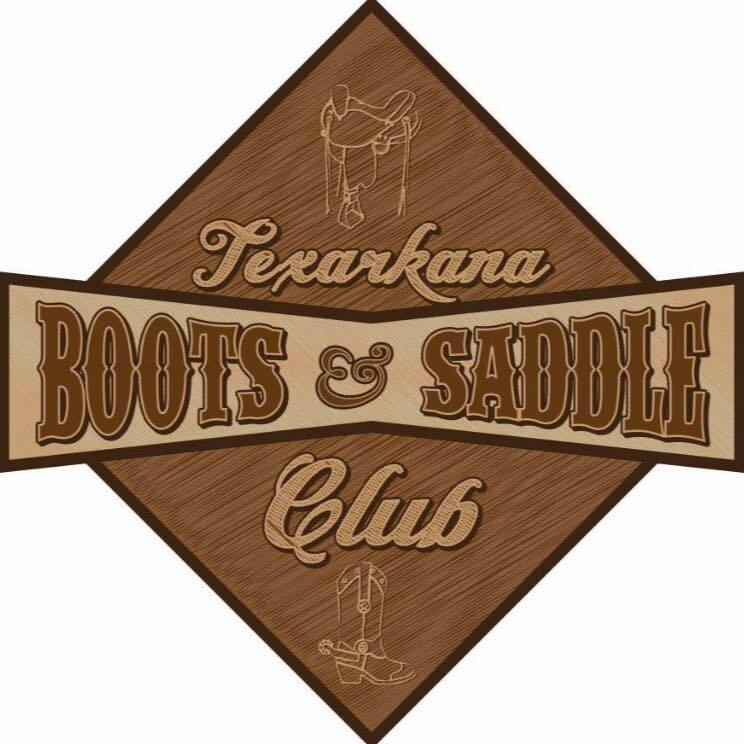 6-9:30 p.m., Hands On Texarkana on Olive Street. 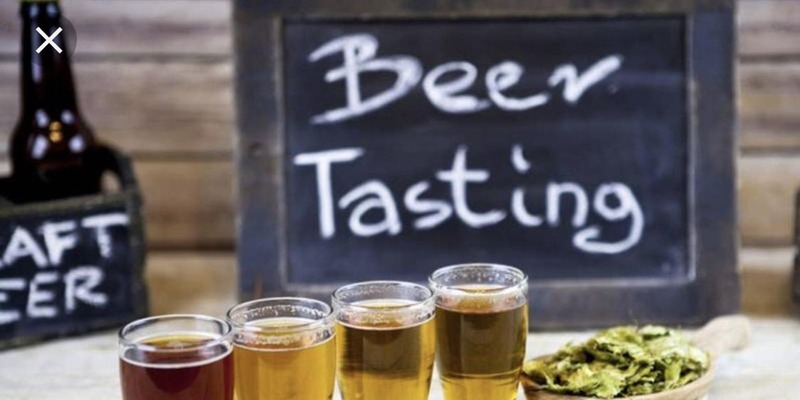 5 course Beer dinner paired with yummy bar type foods. Live music By Tracy Davis. Buy tickets. Family, Fun, Great Friends, and Horses. (903) 293-1347 or (903) 701-3508 for info! Learn more. Meet at 5:15 p.m. at Museum of Regional History. 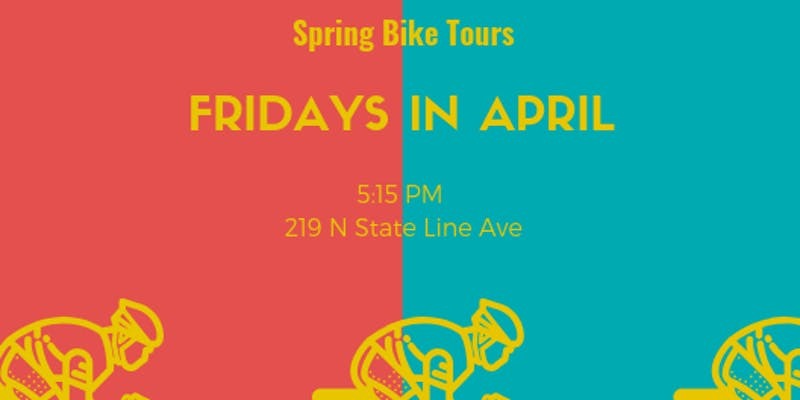 Enjoy the beautiful spring weather, get some exercise AND learn about the history of Downtown Texarkana every Friday this April, with the Texarkana Arts & Historic District in an hour long leisurely ride around the downtown area. Ride free on your own bike or rent a bike from the UPcycle bike rental program for $5. Call (903) 798-3901 for more details! Learn more. 2-3 p.m. Create a masterpiece of art work at Texarkana Discovery Place Interactive Museum. We will be painting a rainy day scene. Learn more.